Check out the below guide on the Minions System to learn everything you need to know about Minions. Minions are a new feature to RIFT that came with the Nightmare Tide expansion. The idea behind them is to collect Minion Cards and then send them on Adventures that reward you with notoriety, minion experience, artifacts, dimension items/keys or crafting/gathering materials. There’s even some valuable minion-only drops like Attainium Crystals used in upgrading gear of all tiers. You can get your first minion card “Stofie” from a quest in Sanctum, Meridian, Tempest Bay or at the Atragarian Well in Goboro Reef. There’s also 5 Minion Cards that cost 1 platinum each that can be found under the RIFT Store (default key “]“) -> Pets -> Minions. The default hotkey to access Minions is ‘v‘. That was originally the ‘Look Behind’ hotkey. You can change this hotkey by hitting your ESC key and going to Keybindings -> UI Toggles -> Minions. To select an Adventure, click on an Adventure Card and it will go into your ‘middle’ Adventure slot. Next, select a Minion by clicking on a Minion Card in the bottom-left hand corner. Once both are selected and your Minion has enough stamina to go on the Adventure, the ‘Send Now’ button in the middle of the UI will light up. Click on it to send your Minion on an adventure. Minions currently on adventures will appear in the bottom-right hand corner. Minions are shared amongst all your characters per cluster. You can collect all Minion Cards. There’s no limit to how many you can collect, but you can only have one of each Minion Card collected. When you go on an Adventure, the ‘Adventure slot’ will gain a new Adventure card. Most Minion Cards have 1 or 2 attributes with special ‘hidden’ minion cards having more. Matching attributes of your Minion to the attributes of your Adventure card will provide bonuses to loot roll (better chance of greater rewards). Example: If you have a Fire + Artifact Adventure and you have two Minions: one with 10 Fire and one with 8 Fire + 8 Artifact, the latter will give you a better loot roll (16 vs 10). There’s a large variety of ways to obtain Minion Cards. When you receive one, simply consume it from your inventory to add it to your collection. From RIFT Store (default key “]“) -> Pets -> Minions. These can be obtained with platinum, Credits or Void Stones. 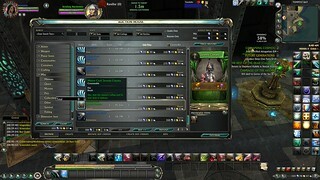 Some have requirements such as Nightmare Tide faction notoriety. Crafted. Check the RIFT Store -> Crafting -> [Profession] and tick the ‘Minions’ filter to easily find the recipes. Dropped from Lockboxes. (such as the Cobalt Crabnarok Supply Crate). Nightmare Tide Puzzle rewards when doing them more than once. Nightmare Rift drops in your Rift Loot Bag. There are probably other ways to obtain them as well. You can check out RiftGrate’s Minion Card Database here with information on how to obtain the numerous Minions in the game. If you know of any Minion Cards not in the database, it would be greatly appreciated if you could contact me using the contact form here with any information you can provide! Thank you! The card starts with a value of 1 for all attributes and remains that way until Level 25 (max level) where all attributes increase to a value of 12 each. Thanks to Ahov for the information! It has to do with the tooltip “Only the one percent will ever gaze upon my full potential”. Eorer on the forums found out that you need to have completed “Scraping The Threads of Fate” achievement from the Tier 3 Level 60 Storm Legion Bindings of Blood raids which gives you “The One Percent” title. You must also have the “The One Percent” title active by going to your Character window (default key “c“) -> Titles and making it your active title. Enter the Rhen of Fate Level 65 Tier 1 10-man sliver (can do this solo) to get the card. The sliver is located at /setwaypoint 6362 4228. You will need Omen Sight (Guardian) or Quantum Sight (Defiant) buff up to see the portal. Entering the Rhen of Fate with “The One Percent” title active gives you the card. The Minion Card: Ra’Aran of Fate has Air, Fire, Water, Diplomacy, Harvesting and Dimension attributes. Note: You will need the “Hopsadaisical” achievement to get the card. Found under Achievements -> Raids -> RIFT: Storm Legion -> Bindings of Blood. Thanks to Beariepoo, Chickie and Nephilim for the info! The Minion Card: Fluffy has Death and Assassination attributes. Simply enter a warfront and summon the Fluffy companion pet, and then win that warfront to have the Minion Card: Fluffy appear in your Rift Loot Bag. Note: This must be the Fluffy companion pet that you gain as a random drop from warfronts. It seems the Carnival Fluffy companion pets (like Breezy Fluffy) do not work. Thanks to Voltaren09, Arkanja and Karthax for the information! Head on over to RiftGrate’s Minion Card Database and go to the ‘Hidden Minions’ tab for a full list. Attractor Minions are a special kind of minion that attracts new adventures temporarily in each deck when the Attractor Minion is in an active minion slot. Attractor Minions are denoted by the magnet icon in the top-right corner of their card. Their flavor text tells you how many adventures they can add per adventure deck and what the reward type will be for those adventures. New adventures are added in a random location to each of your adventure decks as long as your have the Attractor Minion in an active minion slot (i.e. on an Adventure/not-claimed). The maximum number of adventures they unlock is included in their flavor text. However, they start off only unlocking 1. You gain more up to the max number as the Attractor Minion levels up. The actual amount of additional adventures an Attractor Minion can unlock in each adventure deck is shown when you hover over the magnet icon in the top-right corner of the minion card. You can gain a variety of rewards for adventures. Attainium Crystals have a higher chance of dropping from 8hr and 10hr Adventures although the 5min and 15min Adventures can also get you them. These are used for upgrading a large variety of items from all tiers/types of gear (crafting, dungeon, raid/etc) such as armor, weapons, accessories and even runes. All Adventures give Minion Experience although the 1min Adventures only give Minion Experience. Rewards dimension items and keys. If your minion brings back a lot of dimension items, it will be found under Premium #-Star Dimension Stashes. Opening them up will provide you with several dimension items. Rewards hides, fish and meat. Rewards cloth, salvaged materials and runecrafting materials. Rewards ore, plants and wood. Note: Gathering and Crafting rewards are based on the level of your character that claims the reward. Higher-attribute minions will have better loot rolls as long as you have a matching attribute between your minion and the adventure. Matching one or two attributes from your Minions with the attributes of the Adventure you are sending them on will provide better loot rolls. Longer Adventures (8hr/10hr) will provide better loot. For crafting/gathering, the rewards you get are based on your character’s level. I.e., claiming rewards on a low-level player on a ‘Hides, Fish and Meat’ Adventure will get you low-level hides, fish and/or meat. This is reflected in your Adventure rating. Note: The above will increase your loot roll, but you can still end up with bad luck and get a low-rated Adventure outcome. i.e. Sending an 11 Fire Minion vs a 6 Fire/5 Artifact Minion on a Fire/Artifact Adventure makes no difference. They both come up with a value of 11. If the single-attribute Minion had 12 Fire, it would have a value of 12, making it better the dual-attribute Minion in this example. There are currently 6 Reward Tiers that match the 6-Star rating, although Trion can add more Reward Tiers that still reside within the 6-Star rating. Basically you get a dice roll for each Adventure your Minion goes on. This is a random roll and produces a dice roll value. Your Minion’s matching attributes with the Adventure they are on also provides a value. These two values are added up. Reward Tiers have threshold values. If you meet that value, you get that Reward Tier. If you take a Minion with 6 Fire on a Fire/Artifact Adventure and dice roll a 2; your total is 6+2 = 8. Let’s say there’s 6 reward tiers and tier 2 requires 7 points and tier 3 requires 9 points. You therefore get reward tier 2 for that adventure. Each Adventure costs Stamina which is like energy for Minions. Each Minion has an amount of stamina. The yellow ‘firebolt’ icon at the top-right hand corner of your Minion Card is your stamina whilst the same ‘firebolt’ icon to the left of Adventures are the stamina cost for that Adventure. Leveling up will increase your minion’s stamina every few levels. Minions who start with 10 stamina will max out at 20 stamina at Level 25. Minions who start with 12 stamina will max out at 30 stamina at Level 25. Note: Some special ‘Hidden’ Minions might go above 30 stamina. Please refer to the ‘Special Hidden Minions’ section above. Stamina regens at approx. 1 stamina per hour at max level. Stamins regens at approx. 0.5 stamina per hour just before max level. Being online or offline has no effect on Minion stamina regeneration. When you complete an adventure, that specific adventure will go on cooldown and won’t appear in the adventure deck until that cooldown has cleared. 10hr adventures have a 60min CD. 8hr adventures have a 120min CD. 15m adventures have a 30min CD. 5m adventures have a 15min CD. 1m adventures have a 15min CD. All CDs are cleared if you run out of cards in a deck. What this means is that if you are after a specific adventure and you’ve just completed it, you’ll either need to complete/shuffle every single adventure in that deck to force it to clear its cooldown, or you will need to await the allotted time before trying to obtain the card again. Aventurine is the currency that you gain when you complete Minion Adventures. These are used to pay for Hurry Costs and the 10hr Promotional Adventure. 1min Adventure does not give Aventurine. 15min Adventures give – on average – 2 Aventurine. 8hr and 10hr Adventures give minimum of 10 Aventurine. Aventurine is based on performance/rating and minion level. 8hr and 10hr Adventures with high ratings can even give ~50+ Aventurine! The ‘Hurry’ button when on Minion Adventures will make you instantly finish that Adventure. The ‘Hurry Cost’ either costs Aventurine or Credits. The cost is a ‘step reduction’ so it decreases at certain points in time. Note: 10hr Promotional Adventures have a higher Aventurine cost per time limit. Can’t see your Minions? Relog. You can resize the Minions window by hitting your ESC key and then going to Settings -> Interface -> Display and adjusting the Minions UI Scale (Percent) slider. You can find a list of all known Minion cards and where to find them here. 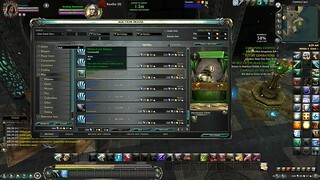 ← Tip: Getting Nightmare I and II Master Achieves fast. I have a question, I don’t know if it is better match 1 atribtue higher, o match the 2 atributes but lower. For example: And Fire Artifact adventure, which one would guive better reward: A 10 fire minion, or a 8 fire 8 artifact minion with same level? Then, since all adventures are Element+Secondary attribute, best minions to level are planar+secondary instead planar+planar or secondary+secondary. So, best deal are level up six diferent planar minions for each seconday attribute, to have the perfect army to match’em all ^_^. Yep, that looks to be the case unless Trion decides to introduce the twin-attribute-type cards. More info on where to collect minion cards is appreciated. There’s a few basic ones you can find here. It’s very much work-in-progress and only has a handful of Minion Cards at the moment. thanx! that is a great help. It’s true. I’ve gotten attanium crystals from short 5-15 min missions. Usually, the loot from the mission as a whole is very lucky (a short artifact mission got me a whole bunch of rare artifacts together with the crystal). My minion tactic is to focus on 5-15 min missions but leave five minions with 10 stamina. Then, when I’m about to log off, I send those minions on 8-10 hour missions. Of course, since I only know what the first 8 and 10 hour missions are, I need a bit of luck for the rest three missions so that their attributes match my remaining missions. Overall, I’m pretty happy with this strategy. Nice strategy Takame! I do the same thing – just seems more useful. Hyakuogi also makes a good point. You probably want to concentrate on leveling up Element + Profession/Secondary Minion Cards since all the Adventure cards (as far as I’ve seen) are element + profession. Oh! Interesting! I hadn’t noticed they were like that! I’ll make note of that when I assign minions to my “8-10 hour mission backbench”. I’ve tried to break my minions into three sets, one set runs 8 hours over night, second set runs during the day while at work, third set I run while playing in the evenings running 1~15. Then repeat the cycle, except the stamina isn’t always back to full, so you may need to shift some minions in the groups. I am sure this will become easier with higher level and more minions to rotate in the cycle. Could you please add the costs for each additional minion slot? I’m trying to decide how many I want to unlock after the initial one for 600 credits. I saw the post on the forums by Gingers that said the minion slots are each progressively more expensive. The fifth slot costs 675 credits. Thanks for the info Takame! Is that with patron discount? I’ll try to get information on each credit cost – hopefully from players who are at different amounts of slots (so they can check the values). Is that 600 with patron discount? Dat Mirandiral guy on the forums is silly. He knows nothing! Two I found on the AH this fine morning that I didn’t see in the database. Don’t think there is one yet but that’s certainly a good idea for an addon or a suggestion for Trion to implement. Does the attributes of the adventure your minion is on affect which attribute will increase when they level? A guildie suggested that if I matched one of the Minion attributes to the Adventure when the Minion will level that I have a better chance of leveling that specific attribute. I haven’t been able to duplicate that. That doesn’t seem to be the case – at least not that I’ve seen. As for which attribute increases (the 1st or 2nd), it depends on the Minion card itself. I.e. I have a few ‘duplicates’ where they have the same 1st and 2nd attribute, but one of them will increase the 1st attribute faster than the 2nd. At the same level they are almost identical, except ‘mirrored’ (i.e. 10 Fire 5 Diplomacy vs 5 Fire 10 Diplomacy). As far as I’ve seen, it doesn’t seem to be affected by which adventures you go on. Thanks! I appreciate it. So it sounds like I could level a Fire Diplomacy card all on Death Artifact adventures and still end up with the same 10 Fire and 5 Diplomacy if they were the same level as the card you mentioned even though the minion never went on an adventure with Fire and Diplomacy. Yep! I got a few cards that are close in level with mirrored attribute stats whilst only taking them on elemental-matching adventures; so the secondary attribute wasn’t matched at all. Excellent! Thanks for the info. BTW, next time I’m on I’ll go through the list and see if I have any more, like Rough Raptor, that aren’t in the DB! Quick question if not too late. If I have a purple border minion with a total Attribute score of lets say 15 fire, and a White border minion with an attribute score of 18 fire. Is it better to send out the white border minion or the purple one? The 18-attribute-score one. The borders don’t mean anything in terms of minions. They don’t even relate to the rarity of obtaining a minion. Thank you Khortish for the reply. For me it was counterintuitive, my brain keeps saying Purple= best. You have saved me from making a lot of mistakes with my minions. White card: single attribute, any type. Purple: same as blue, but from my experience, the total “score” of the two attributes together is higher than any of the others reach. I don’t have a lot of evidence to support it, but it sure seems that way. Bloop (purple) is at 18 water and 7 diplomacy at 25. Quetzie (white) is only at 17 air at level 20. That might be the case for some minions, but it might not apply to them all. I’m just basing it off of what the devs (specifically Snedhepl) have stated.